I think the property is maintained very nicely. My apartment is very nice.submitted by Kathy B. - Sep 27, 2018 |Recommended: YesI like living here. Management does a good job of keeping it well maintained and they are always very prompt responding to any questions or concerns i have. New safe convenient place to live, great staff, nice amenitiessubmitted by Rodney T. - Aug 25, 2018 |Recommended: YesMidtown square is conveniently located in a safe, livable community with excellent staff and clean as well as modern building. 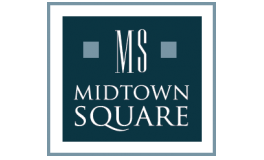 Nice place submitted by Mona M. - May 18, 2018 |Recommended: YesMidtown square is a nice place to live with great amenities including a gym, garage parking, nice units, well apppinted common area and a staff that is very accommodating. Patrick did a great job getting us set up and ensures everything was perfect upon move in. Overall we really like it here. Great Building submitted by Laurie S. - Mar 01, 2018 |Recommended: YesThe only complaint is sound from hallways is really loud. It's a great place to live in a fantastic locationsubmitted by Brian L. - Nov 30, 2017 |Recommended: YesIt's expensive, but worth the money. The staff is good, the amenities are great, the location is fantastic. My only complaint is that plenty of times I'll hear kids sprinting down the halls, and I'll hear my neighbors' dogs. One has a dog that REALLY likes to bark, and has the most annoying, yippy bark. But that's usually the only thing I can hear outside my walls, so it's good enough. The best in Glenview.submitted by Dimitri T. - Sep 12, 2017 |Recommended: YesYou won't find a better property or staff to live in. Everything you can possibly want is here.